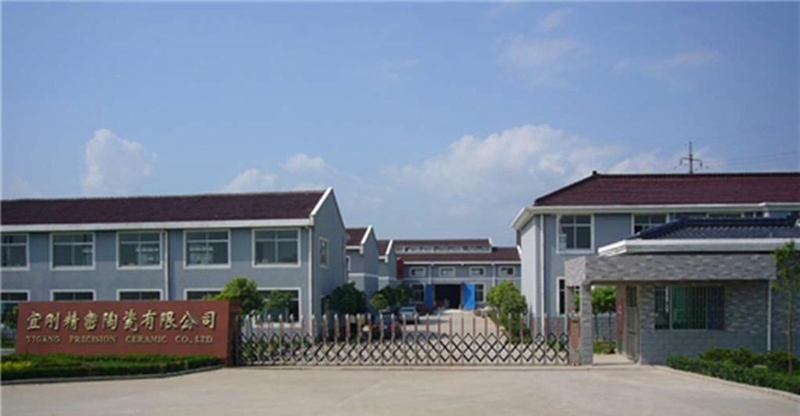 Yixing Yigang Precision Ceramics Co., Ltd.is established in 1994, it is specialized in the production of alumina ceramics. Our company is the professional manufacturer of production of 95 alumina ceramics, 99 alumina ceramics, textile ceramics, electronic ceramics, talc ceramica, zirconia ceramics, wear-resistant ceramics and cordierite ceramics.The characteristics of product are acid-resistant, wear-resistant, high temperature resistant, corrosion-resistant, anti-static, hardness, light weight and extend equipment’s life more than ten times. Molding methods are: dry pressing, grouting, extrusion, cold isostatic pressing, injection, casting, hot pressing and hot etc. And our products are widely used in electronics, electrical appliances, welding equipment, chemicals, machinery, railways, textile, environment protection, thermal, instrumentation, mining machinery, telecommunications and defense industries. It is equipped with variety of precision equipment, mainly include precision surface grinder, precision grinding machines within the park, outside garden precision grinding machines, CNC lathes and other precision ceramic processing machinery.The management has staff strictly controlled and fully guaranteed the professional technical requirements of customers, from raw materials, semi-finished products, finished products, high-temperature sintering, precision grinding to product testing packaging factory. Our annual production is about 50 million, 95% of which export to Hong Kong, United States, Taiwan and Europe with greet praise.There has a proper place in the international market, especial in the sales of heating equipment and heat-treatment equipment of oil-delivery and gas line. Honesty is the best policy. Quality, service and reputation are the three principles of our company.Our company is located in Yixing, Jiangsu and owns excellent geographical conditions and convenient transportation. We would like to sincerely cooperate and develop together. Welcome everyone come and visit our company.